It’s April, which means it’s Autism Awareness Month. Given that I have a smart, stubborn eleven-year-old daughter with autism, April doesn’t feel different than any other month of the year. Every month is autism awareness month in my house. But I know that isn’t true for many households, so I think it’s wonderful that we have a month to help people understand an often misunderstood disability. One common misunderstanding is the concept that autism is a spectrum. The disorder encompasses a broad range of strengths and weaknesses. Not everyone on the spectrum is like Dustin Hoffman in the movie Rain Man, nor are they all quirky and brilliant. The spectrum is truly diverse, which is why there’s a saying in the autism community: if you’ve seen one person with autism, well … you’ve seen one person with autism. 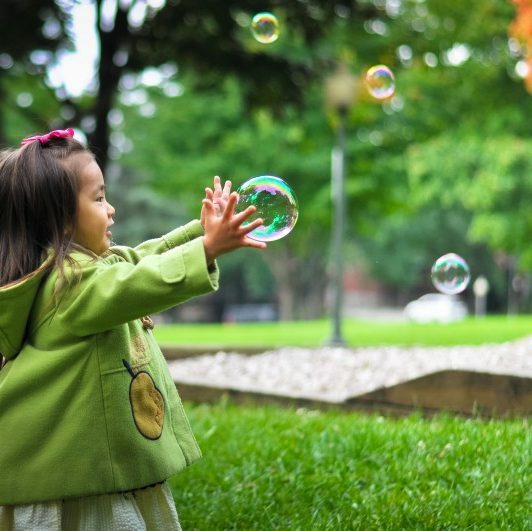 Autistic individuals are all uniquely different. But sometimes even I forget this critical fact. Two years ago, I met a fellow autism mom through social networking. We shared a poop story (don’t ask; it’s an autism thing) and had a good laugh. I immediately liked her. 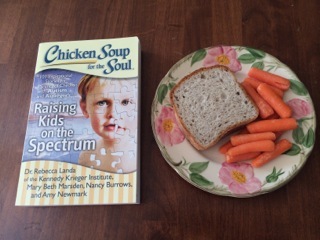 The following week we both posted about being published in an autism anthology called Chicken Soup for the Soul: Raising Kids on the Spectrum. (Another terrific book to learn more about autism is Ten Things Every Child with Autism Wants You to Know.) We joked about it being a small world and promised to read the other’s story when the book came out. In late March, I received a box containing ten pristine copies of the new book. I admired the cover and immediately flipped through the book to locate my work. In the process, I stumbled across the other woman’s story and remembered our conversation. I made myself lunch and sat down to read. Tyann Sheldon Rouw’s story, “Convenient Care,” was about an urgent care visit with her sick (and autistic) son. He was nine, just like my daughter, Katie. Tyann and her son sat down to wait and he entertained himself by reading—reading!—a book on gravity and photons. Then he talked about them. Just the fact that this autistic kid could talk and ask questions about gravity and photons depressed me. But he was also reading. Katie still couldn’t identify most letters in the alphabet when taken out of order. I immediately sunk into a tremendous wave of fear and despair. I learned long ago not to compare Katie to her typically functioning peers, and there’s a certain relief in that. I’m free from the competitiveness and intensity I often see in other parents. I don’t compare her to my seven nieces and nephews either. But it had always been safe to benchmark Katie with the other autistic children in her special day class. While one might talk more, he might also have more gross motor delays than Katie. It all seemed to balance out. I celebrated every child’s gain with equal enthusiasm. The children I encountered in the book, however, exhibited a much broader range of skills than the ones in Katie’s class. I checked the story again. No, Tyann’s son did not have Asperger’s; he was autistic like Katie. Yet clearly he was far more verbal, and this made me feel both sad and angry. It didn’t matter that I’d managed to get Katie transferred into a better autism program in another school district. It didn’t matter that she was making excellent progress. It didn’t matter that a retired special education teacher had offered to tutor Katie in reading and had put a great deal of thought into how to structure a customized program. Or that I was doing everything I could to help my daughter. It didn’t even matter that I knew Katie tends to learn one thing at a time, and she was clearly working on conjunctions and pronouns plus mastering the songs in her new music class—not to mention learning to follow directions and read social cues when mainstreamed with her typically functioning peers. I wanted her to read and discuss photons too. It was crazy. I could care less about photons, and yet I wanted to discuss them with Katie. I wallowed in guilt and sorrow for several hours. 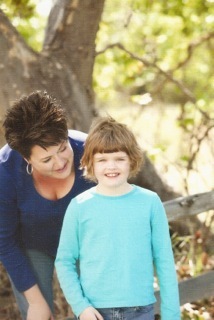 Then my willowy, caramel-haired daughter came home from school and helped me pull weeds in the front yard. She really, truly helped and stuck with the task until we were done. Progress! We started the reading project that summer, and while it hasn’t been simple, it hasn’t been as difficult as I feared. Katie simply needed a different approach than what was being used at school. Now she can effortlessly copy the names of her classmates onto Valentine’s Day cards and sounds out the fat cat sat on the mat while I stand at the kitchen sink, washing dishes. It may not be photons, but it’s a pretty good start. Wow. That was a wonderful read! I have a few friends with children with Autism as well as a cousin and like you said, they all progress in their different ways. What a great mindset to endure to the end and keep moving forward. What motivates you to keep going? Thanks Abigail! Yes, they all progress at different times and in different ways. What motivates me? I think like any parent I want what’s best for my child. And Katie truly inspires me! I enjoyed reading your essay. No matter what we are doing, it is so hard and yet so necessary to focus on our own situation and not someone else’s. As we say in yoga, “Keep your eyes on your own mat.” Thank you for sharing your Katie story and best wishes for the future! Yes, it’s just like yoga! Thanks for your kind words.